buy. Today, practically no one is answering their phone. What’s going on? 1. Your salespeople are not dialing the phone enough. 2. Your salespeople are not getting through to enough sales prospects over the telephone. 3. Your salespeople are not calling on enough decision-makers. 4. Your ‘sales pitch’ is ‘broken’. 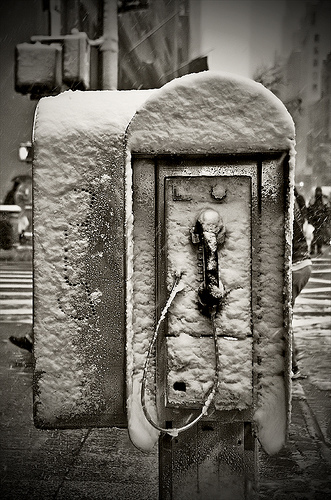 telephone cold call to ﬁnd new customers. revenues are falling short of expectations. spending $2 to bring in $1 in new business. making cold calls to prospects over the telephone to set sales appointments. phone 25 times? 1 hour at the most? the infrequent contact salespeople have with sales prospects on the telephone. Question: Are your salespeople making enough of an effort to ﬁll your sales pipeline in exchange for what they are being paid? costs to ﬁnd new customers. prospects are spending very little time in their ofﬁce, so they’re almost impossible to reach. with sales prospects, and close new business. and ask to be sent sales literature so they can get salespeople off the phone, and get back to work. to your cost total of sales. want to do business with. 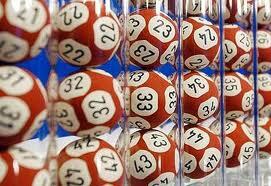 Sometimes getting hold of prospects on the phone is like winning them lottery. Countless dials, and nothing but voice mail greetings to show for it. That’s the ‘numbers game’. But like winning the lottery, you’ve got to be in it to win it. So get in it to win it, and dial them up 100 times until finally your number comes up and someone answers the phone. Someone has to win, why not you? When I set up a prospecting call report for a client I always try to find a direct dial number to cut down on the amount of interaction I have with switchboard operators. In this ‘game’ of prospecting, speed and volume are what’s most important. So I’ve set up my prospecting call report in a way that allows me to dial as many times as I can, and at the end of the day I’ve got ‘blisters’ on my fingers. That’s the discipline it takes to win. On my call report I keep a record of the number of attempts to reach someone, and I also keep a time line as to when I first started calling the prospect so I can track the amount of time it took to make contact. The other day I finally got a CFO of a Tier 1 bank on the phone, and looking back at the call report I was amazed to find that it took over 3 months of persistent dialing to finally catch him in the office to take my call. What I mean is that everyday, at least 3-4 times a day, I tried to reach this prospect on the phone for over 3 months. (Some of my prospects took 5-6 months). Don’t try once, or twice and call it a day. My advice for prospecting over the phone? Be patient and persistent. Don’t fire and rehire. That will only prolong the amount of time it takes to make contact with people you want to do business with. Keep playing the ‘lottery’, and eventually you’ll win. As for the banking prospect I called on, my persistence paid off. I now have a qualified prospect for my client, and they’ve committed to spend $550,000 over the next 12 months. You are currently browsing the The Gold Call Blog blog archives for May, 2011.